Kenneth Webb, Director of Student Services at Paris Junior College has been named as the Chairman of the 2018 PJC Annual Fund. 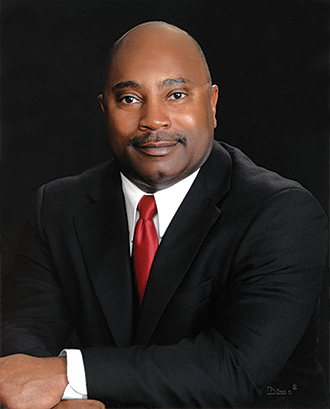 Webb, currently Director of Student Services at PJC, is a 1983 graduate of PJC and returned to the campus immediately upon graduation from the University of Louisiana-Lafayette in 1988. His initial duties at the College was as Residence Hall Supervisor. He later earned his master’s degree from Texas A&M University-Commerce. Webb’s daughter Karen is married to Widlord Thomas and son McKenzie Webb is a senior music major at the University of Texas at Arlington. He has one grandson, one-year-old Widlord David Thomas.